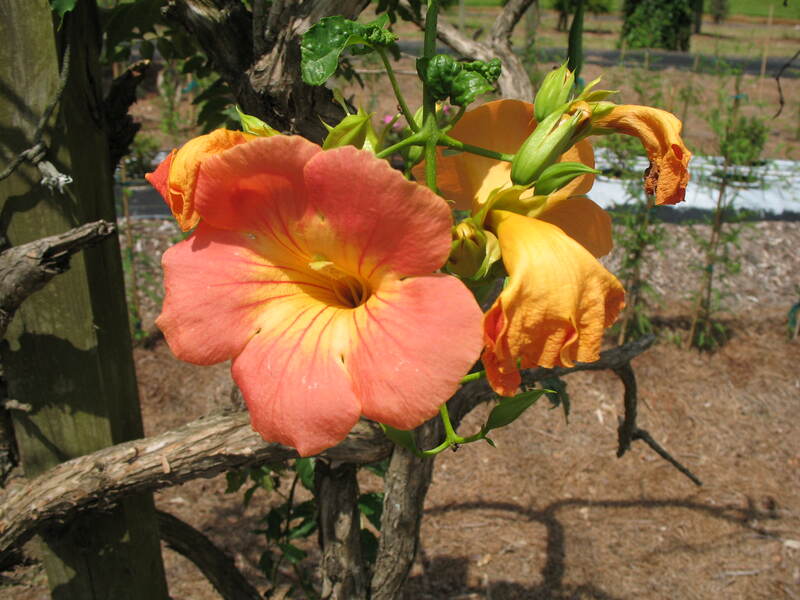 Comments: Hummingbirds love its flowers and this plant is not as aggressive as the native trumpet creeper. Produces handsome flowers on heavy vines with compound, coarse textured foliage. Tolerant to a wide range of soil types but needs considerable amount of sunlight to bloom well.